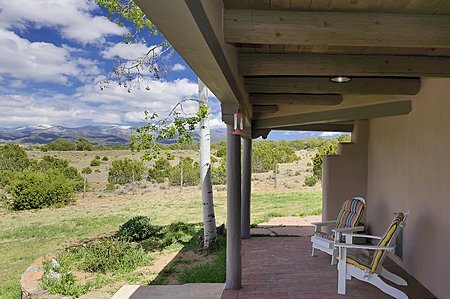 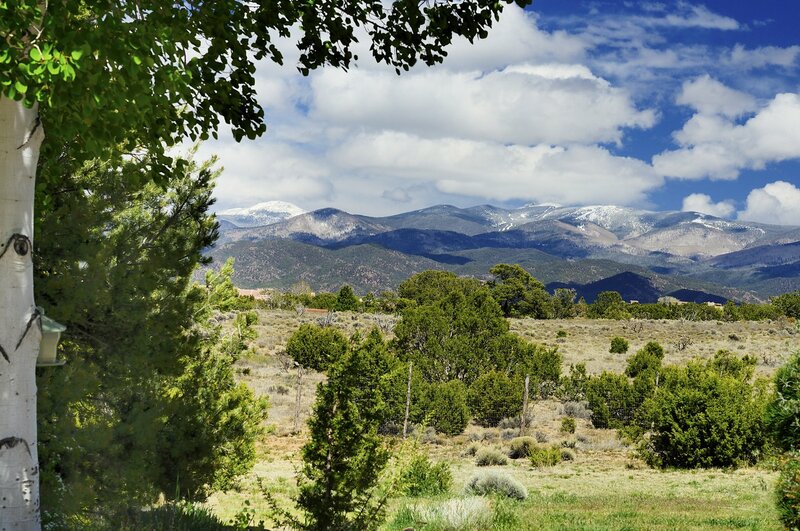 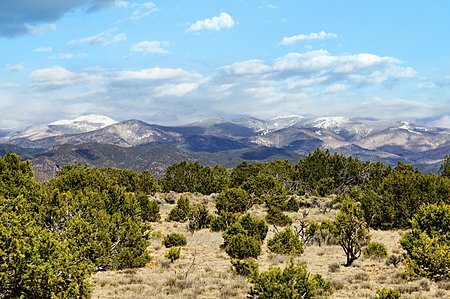 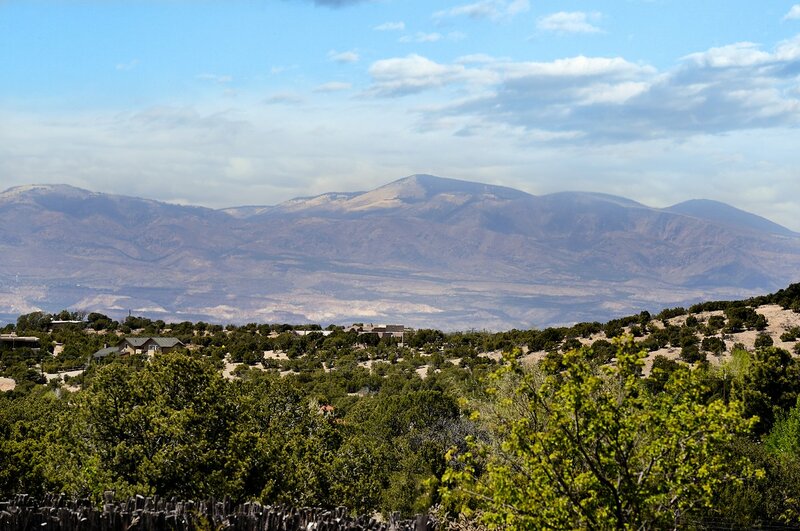 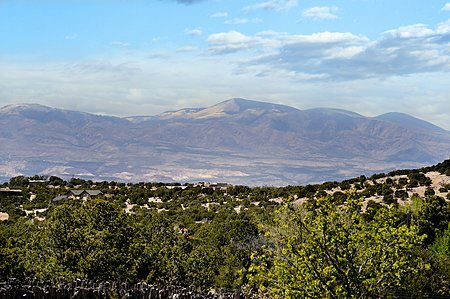 On a 5-acre lot and surrounded by commanding views of the Sangres and Jemez mountains, this 4,000 SF classic Buzz Bainbridge home combines Old World Design with a comfortable, unassuming elegance. 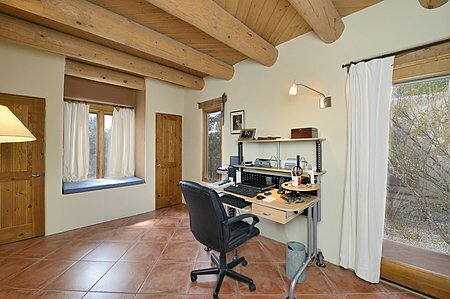 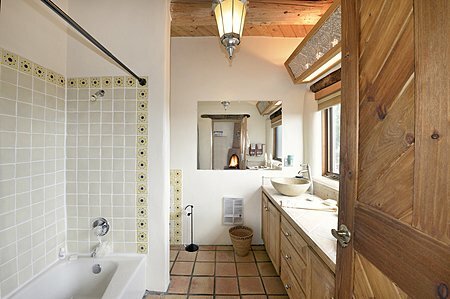 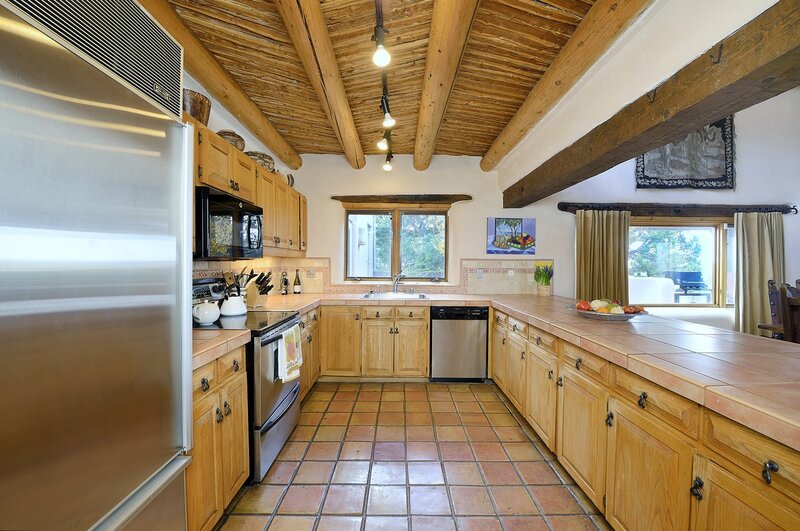 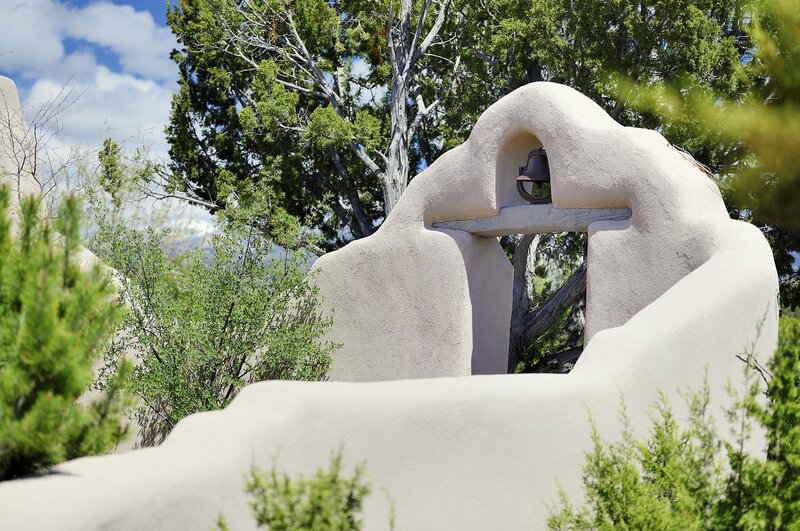 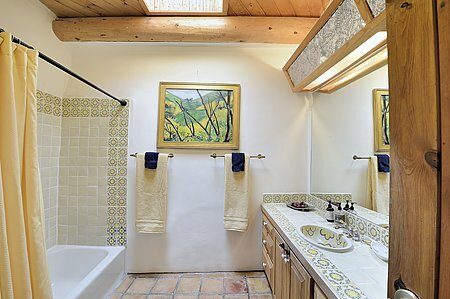 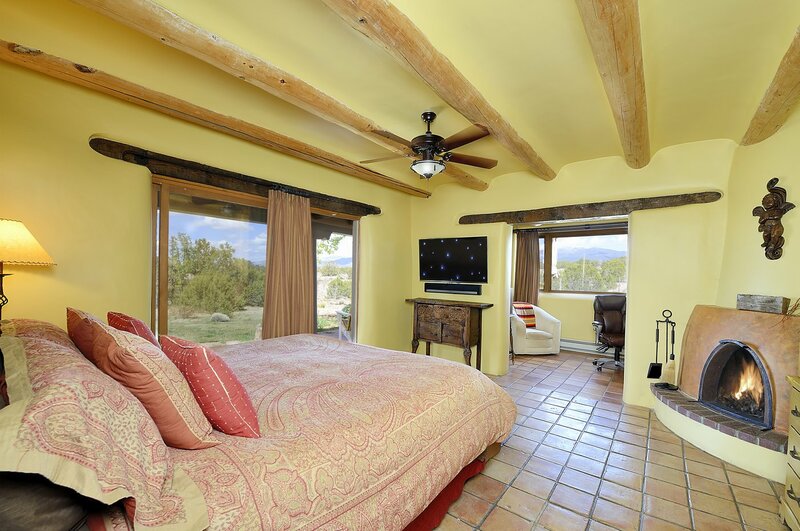 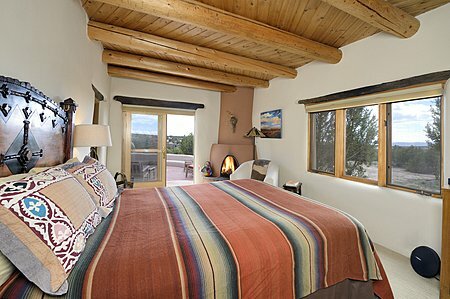 Double adobe walls, Saltillo tile floors, hand-hewn beams, dark wood lintels and wide archways convey solid architecture and an aesthetic steeped in New Mexico tradition. 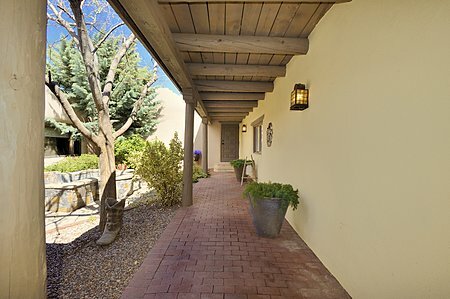 A hacienda-style interior entry courtyard with an imposing fountain and covered portal, is the first of multiple patios accessed off of each living area, providing room for either a private outdoor retreat or a gathering of many in the open air. The entrance hallway leads to the central living area featuring a massive two-tone fireplace with a raised hearth, high herringbone split cedar ceilings, clerestory windows, and generously proportioned windows to take full advantage of the views. 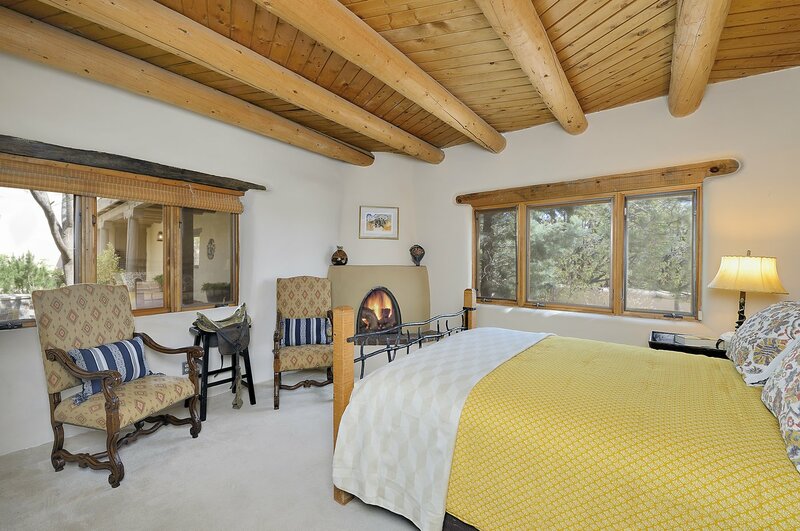 The master bedroom features coved ceilings, a kiva fireplace, large walk-in closet, a private sitting room or office and an optimally-sized master bath. 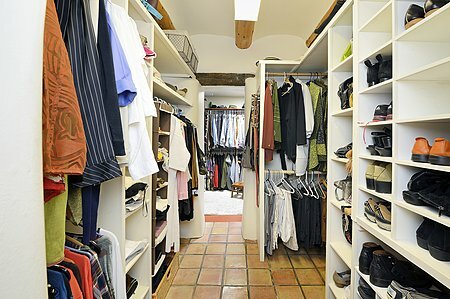 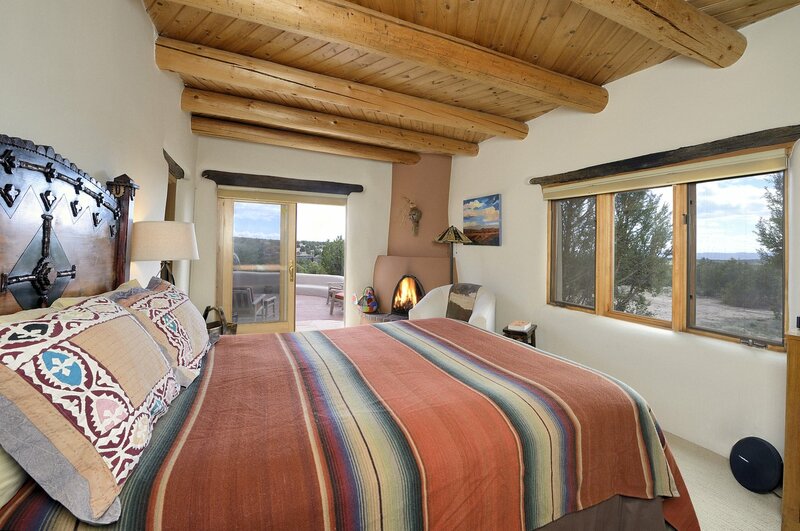 A separate wing accommodates three guest bedrooms and two full baths. Two more of the five kiva fireplaces featured in this home are situated in the guest quarters. 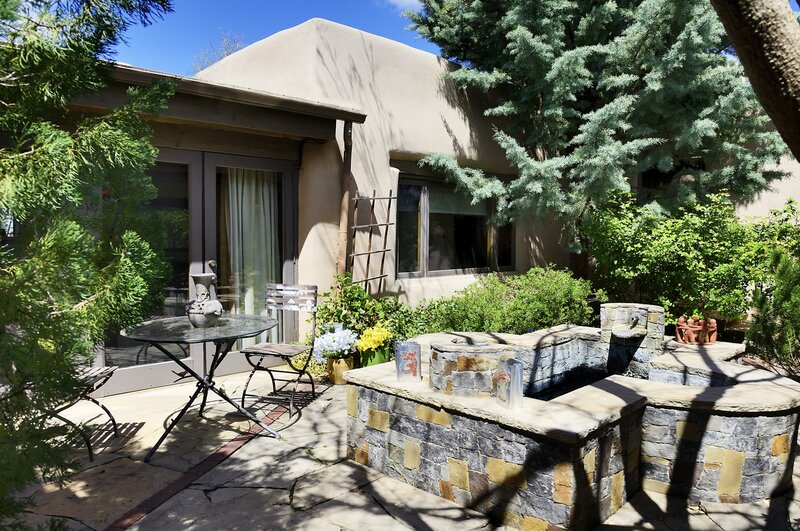 After the original construction in 1982, an attached artist's studio was added to the home, which is accessed from the interior courtyard, as is the 2-vehicle garage. 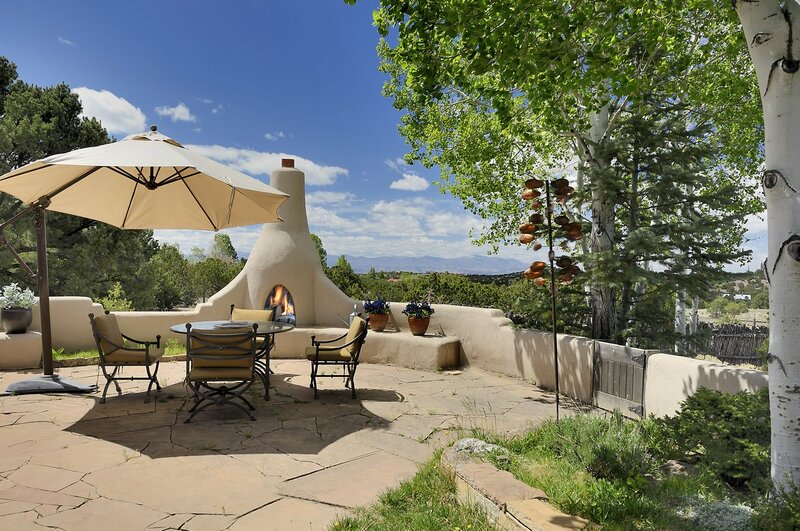 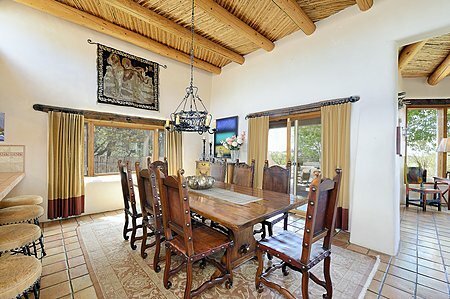 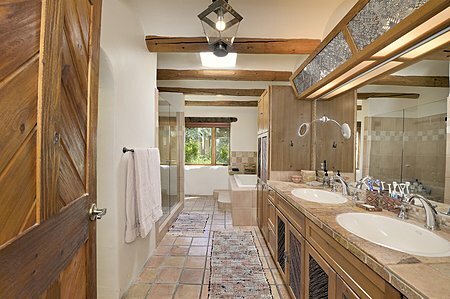 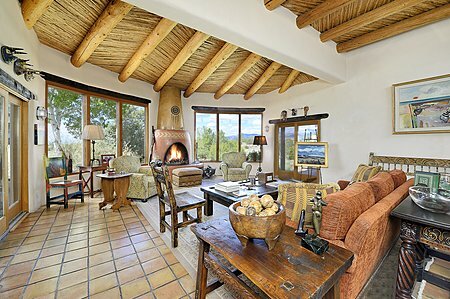 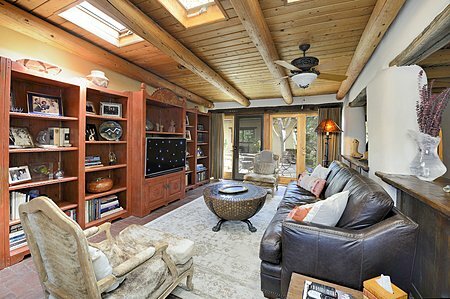 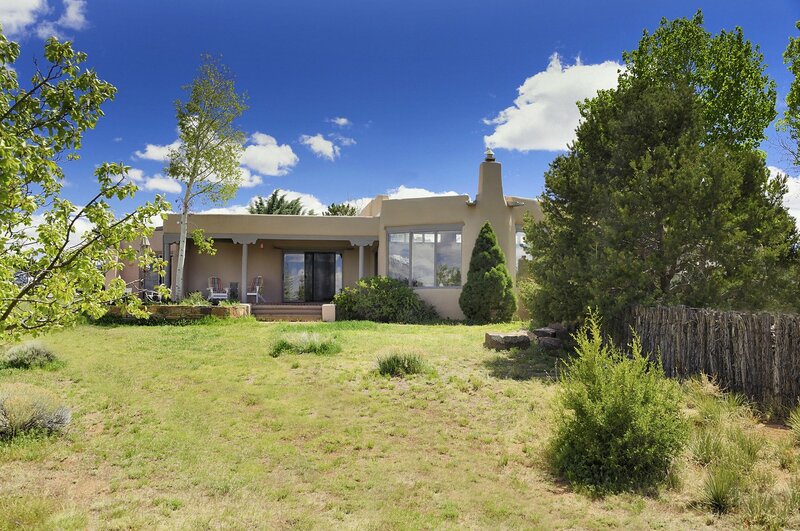 This is a distinctively detailed home, respectful of classic Old Santa Fe, enhanced by mature gardens, and uninterrupted views.